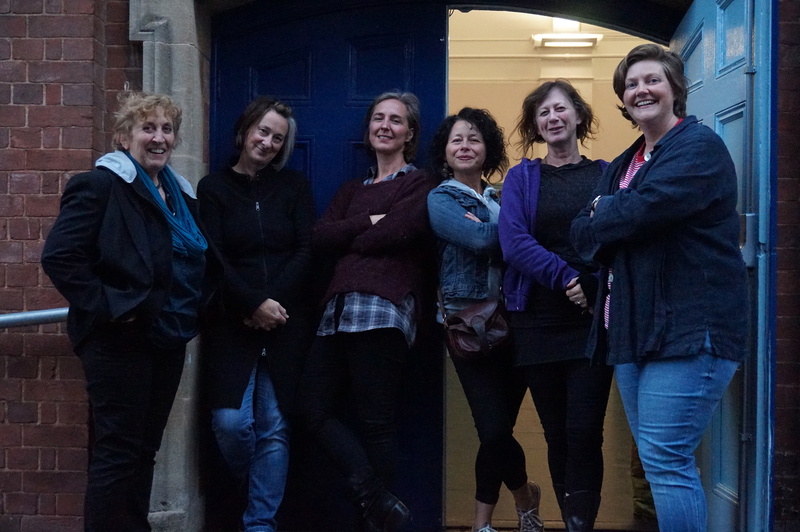 From left to right: Josie Sutcliffe, Ruth Mitchell, Saskia Portway, Claire Ingleheart, Michelle Ridings and Natalie McGrath. Photo taken by Charlie Parker. 2016 has seen some exciting developments take place with our new play The Orchard. After spending 2015 listening in to audiences who responded to the early stage work, we have consolidated our thinking due to the wealth of voices we heard. 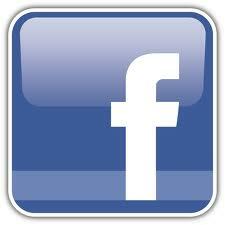 Now; and not just creatively we have been in the studio, but also to develop our future plans for heading out on tour. These are really starting to take shape. We were thrilled to receive funding from Arts Council England, SW to go back into the studio, and to undertake the vision work time needed to think and plan the future life of this new piece of work. Asking things like: how might we share it with and continue to work with audiences? How might we go back out on tour and collaborate with communities in meaningful and exciting ways? How do we make art that matters and is relevant to now? These questions are always at the heart of what we do. We invited independent producer Charlie Parker to join us as part of the team, and we have been working with her and learning from her experience from working previously as Executive Director at the Bikeshed Theatre, Exeter, and with other Exeter and Bristol based companies. Including Bristol Old Vic, Quirk and Scratchworks Theatre to name a few. 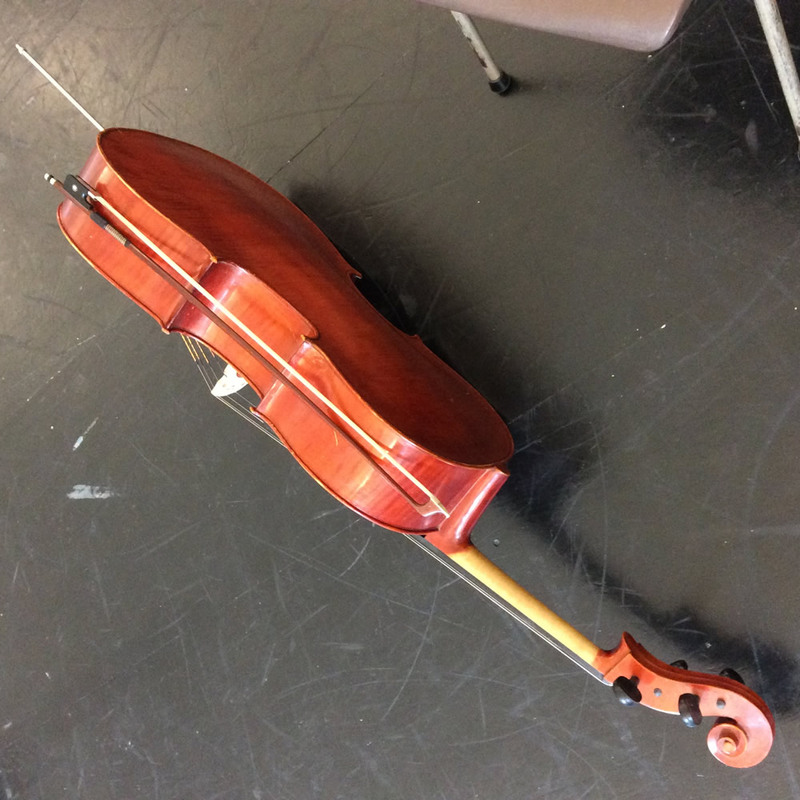 In the studio our focus has been on exploring and developing the sound of the play with composer Claire Ingleheart, and with a new performer; Saskia Portway. Yes; a third role is now part of the play. Previously it was a dialogue between these two great women leaders of the Women’s Suffrage Campaign. However; with much reflection after 2015’s Roadshow performances, Josie threw in one of her creative ‘grenades’, suggesting a third role might unlock something new about the play, it’s form and intentions. This new role felt very connected to sound, and had clearly evolved from the way we had worked so closely with audiences in 2015. It still felt really useful to test this out! 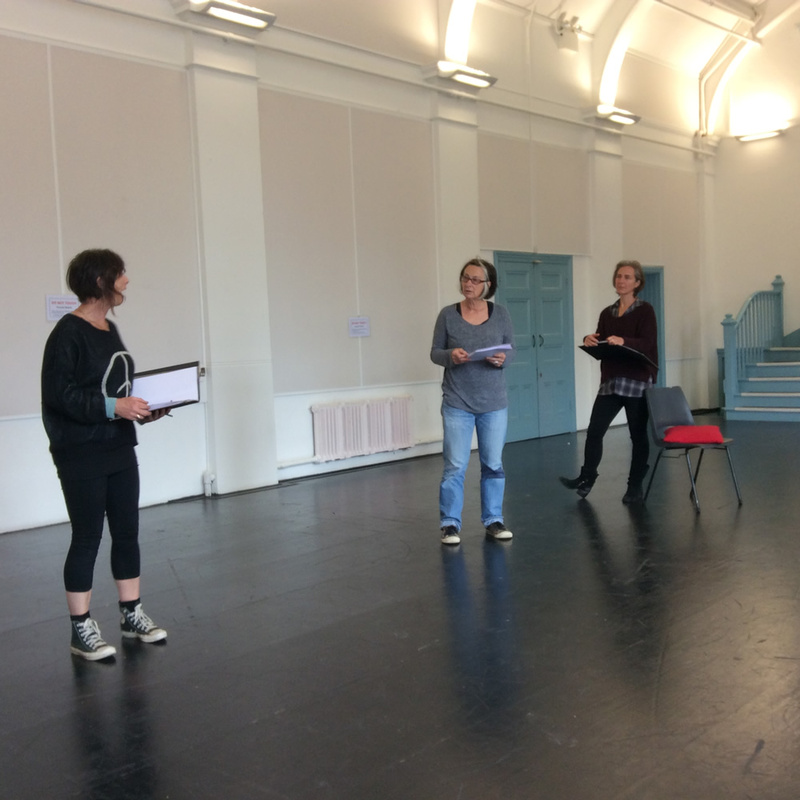 We had an initial R&D stage with Natalie, Josie, Saskia and Claire to be playful with sound and different instruments, gently introducing this possibility of a third voice with small sections of text. Here songs and sound and a new voice began to emerge, challenge and inhabit the space. Then we gathered for a second development week. This time actors Michelle Ridings and Ruth Mitchell joined us and Natalie presented a new script copy. Here the third role was experimented with in the body of the text to see what it might sound like, and what might happen when we shared the work with an audience. We were able to start to really explore sound, text and this new third role in the room. Josie has been exploring the potential of the dynamics between these elements, roles, and a constant sense of pushing the text to really get below the surface of it to find its core has been taking place. We are still asking questions. Still searching, as we aren’t prepared to get complacent about the work. We worked with an audience back in June to discover more about all of these new elements, receiving some fantastic feedback and thoughts. We are excited to be sharing the work with an audience as part of the Calm Down Dear Festival at Exeter Bikeshed on Tuesday 4th October, 2017. Have a read of the blogs written by Co-Director Natalie McGrath here for more about the creative process and development work.